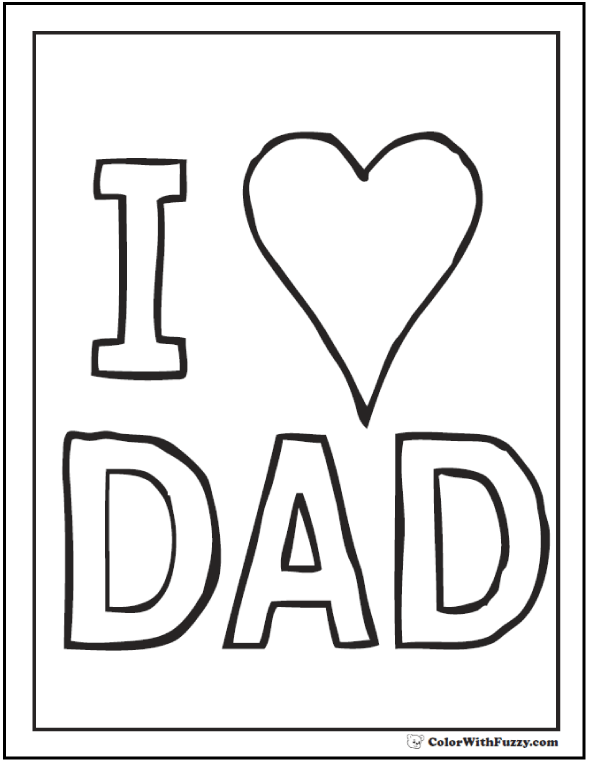 Father's Day Coloring Card: I Love Dad! Fuzzy's printable Father's Day coloring card says "I Love Dad". The word love is a heart. Post it everywhere! This PDF prints to 8.5x11 inch paper. I Love Dad! Show him some heart with Fuzzy's printable Father's day coloring card.